Our busy life forced us to deal with synthetic products. Many artificial products used for feed and drink all over the world. The food industry has continually generated new chemicals to preserve, and transform our food. With the use of chemicals, scientists are able to mimic natural flavors, to color foods to make them look more natural and fresh, to preserve foods for longer and longer periods of time. Sugar substitutes, candies and coffee creamers consist almost of artificial components. Such jugglery of our food can have a profound effect on our body’s unique biochemical and physiological balance. 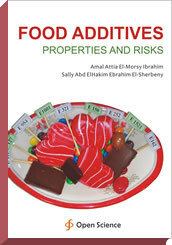 This booklet will spot the side effects of food additives on human and children health. The use of food additives is at least argumentative because many of them have been caused a wide range of health problems to human and children; where they are considered a very vulnerable group. For these reasons, governments must regulate the amount and types of substances that are added to processed foods, to prevent long-term health risks and reduce the cost dispensed on medicine. Governments must be advanced to perform many workshops to aware people, university students about reading the ingredient label of products, and how to choose the healthy food. A huge effort has been made to ensure that all the information provided is correct at the time of going to print, but this is a swift-movable field, therefore scientists and readers must beware to review the current enactment on specific additives. Thus some food additives had been banned and many other had been added. Associate Professor, Zoology Department, Faculty of Girls' for Arts, Science & Education, Ain Shams University, Cairo, Egypt. Biology Department, Faculty of Science for Girls, Northern Border University, Ar'ar, KSA. Assistant Professor, Ph.D., Zoology Department, Faculty of Science, Mansoura University, Dakkhlia, Egypt. Parents who want to protect themselves and their children. High School and University students. Who should learn how to read food labels. Industry sector to choose the best natural food additives and avoid synthetic food additives.